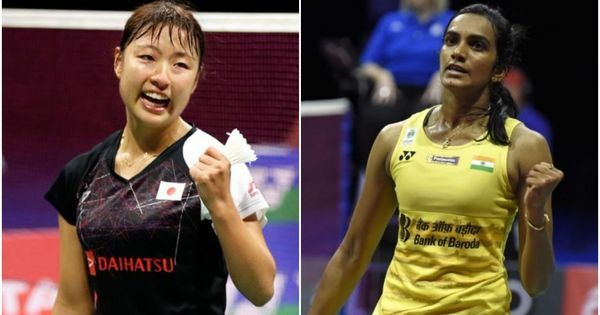 Sindhu surrendered rather meekly against Okuhara in the semi-final and the commentators wondered whether her busy public life was affecting her game. Midway through PV Sindhu’s struggle in the Singapore Open semi-final against Nozomi Okuhara, reputed badminton commentator Gillian Clarke wondered whether the Rio Olympics silver medallist was distracted. Clarke put in a rider on her statement later, saying that this was all in the realm of speculation and only Sindhu would know what exactly is happening. That statement on air, however, led to comments to the same effect on social media. But to begin with, let’s cut the speculation and deal with mere facts. In 2019, PV Sindhu has played five international events apart from the senior nationals and has a win-loss record of 9-5 on the BWF circuit apart from reaching two semi-finals. Among the six matches she has lost, including the nationals final, the 23-year-old was utterly outplayed by Okuhara on Saturday, lost her way in the second game against Sung Ji Hyun in the Malaysia Open Super 750 last week and chose a wrong strategy against Saina Nehwal at the nationals. In between, she has oscillated between the erratic and sublime and has probably disappointed everyone who was expecting her to build on from where she ended the year 2018 – the BWF World Tour Finals title. But that has been a pattern with Sindhu ever since she broke into the world top-10 back in August 2013. In more than five years since then, the 23-year-old has won just four BWF Super 500 and above level titles but has managed to finish on the podium of four of the five world championships and the Rio Olympics. Even Sindhu herself was hoping to break that pattern and perform more consistently on the international circuit in 2019 as the countdown for the 2020 Tokyo Olympics begins with the qualifying period at the end of this month. So what has really gone wrong for Sindhu so far? Is she really distracted by the endorsements and public appearances or does the problem lie elsewhere? All those who have known Sindhu or followed her progress since her sub-junior days know that the two-time world championship silver medallist is always a happy-go-lucky girl who enjoys group chatting sessions with friends, follows a set routine and works hard on the court under the guidance of coach and mentor Pullela Gopichand. Speak to any coach who has worked with her and they will tell you that for all practical purposes, Sindhu needs to be in a happy state of mind to be at her best on the badminton court. In that context, Clarke’s reading that too many endorsement deals and fashion shows could be distracting to Sindhu does not really cut ice. Since she won the Rio Olympics silver medal, she has been balancing commercials and training well enough to reach the world championship and Asian Games finals. And for that matter, almost all top players know how to find the right balance to maintain their performance level. The more logical reason for Sindhu’s inconsistency is the transition phase she has been going through since the start of the year and again those who have known her will tell you that she needs time to adjust and adapt. Just before the senior nationals, Sindhu bagged a major equipment sponsorship deal with Li Ning and it was pretty clear that she was not completely comfortable with the feel of her racquet and shoes in Guwahati and even the All England. After coming back, she managed to reach the semi-final of the India Open where the guile of He Bingjiao made the difference in the final analysis as Sindhu struggled to control the shuttle with the drift in the stadium. The 23-year-old has also gone back to train at the SAI-Gopichand Academy, which she had left to train separately with Gopichand after last year’s Commonwealth Games, as two new foreign coaches have joined the national camp and they would be working with the elite players from now on. All these changes, coupled with the added pressure of maintaining her performance level by trying to win tournaments has definitely weighed her down and that shows even in the way her body language is during matches. The smile that has been her constant companion before and after the matches, irrespective of the results, has been more subdued and there could be more to it on the training and personal front than just the distraction of endorsements and fashion shows. But more importantly one needs to understand that to play well consistently with the same intensity and vigour requires a certain combination of adrenaline, skill set, physical ability and mental focus that comes naturally to some players while others concentrate on peaking at important tournaments. Over the years, Gopichand has focussed on preparing Sindhu for major tournaments like the world championship, Olympics and this year also would be targeting a few select tournaments which included the All England. But for various reasons, the start of the year hasn’t been good for Sindhu and the way she goes about things, she usually needs a few weeks of training before she gets into the groove physically and mentally. Till then we will probably have to put up with more heartbreaking losses than title winning performances. But even Sindhu knows that it will take another solid performance at the Asian or World championship or the two remaining Super 1000 tournaments to change public opinion. On current form, it looks like a difficult preposition but as Sindhu showed in this very week in Singapore than her level can fluctuate rather quickly and we can only hope that she can come into her own in the second half of the year as she has been doing for the past few years.